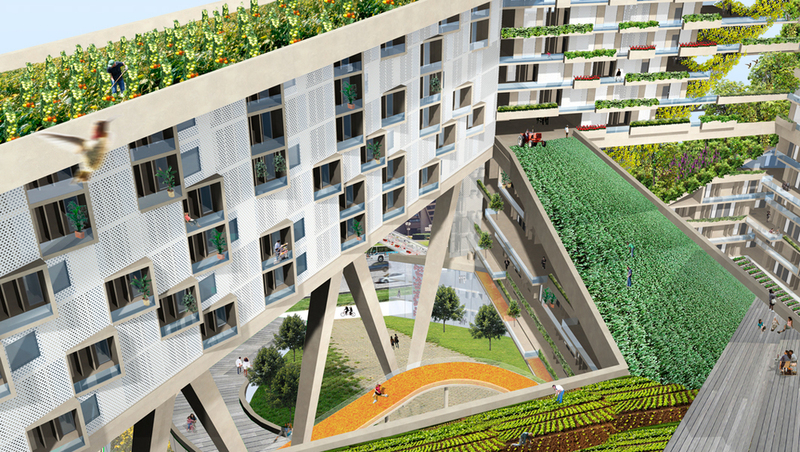 Program: Sustainable 500-unit residential and mixed-use block with urban farming component. scale for intervening and speculating on the future well-being of our cities. motes enthusiasm, but also supports hands-on education and experimentation. ‘Wellness’ (Mind, Body, Nourishment, Nature, and Play).